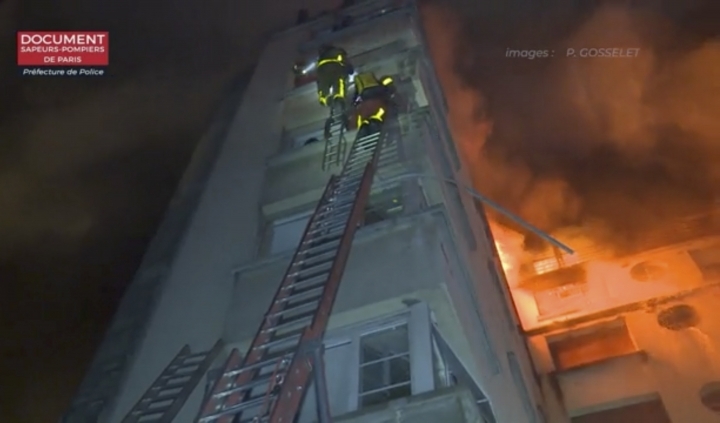 PARIS — A fire in a Paris apartment building early Tuesday that authorities suspect was an arson attack killed seven people and sent residents fleeing to the roof or climbing out their windows to escape. 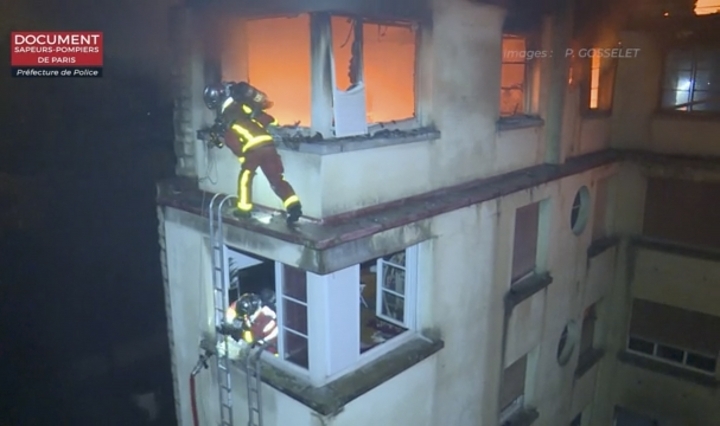 The Paris prosecutor says a woman has been detained in the initial investigation into the fire, which blazed for hours in a calm, high-end neighborhood on the city's western edge. It choked the air with smoke and sent orange flames into the overnight sky. 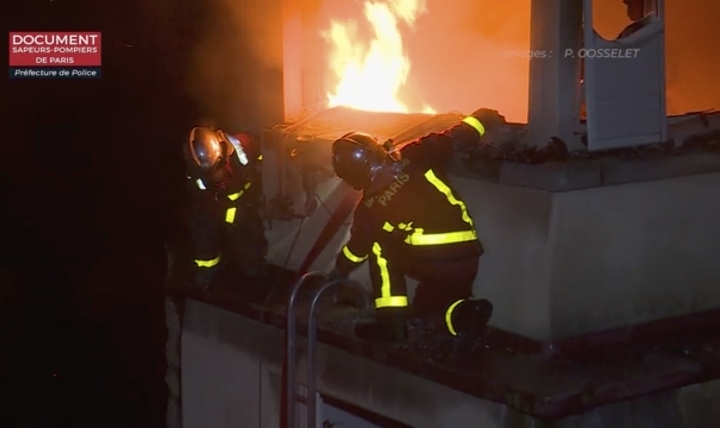 Prosecutor Remy Heitz told reporters at the scene that authorities suspect it was a criminal act, though "the investigation has just begun" and it's too early to definitively determine the cause of the fire. 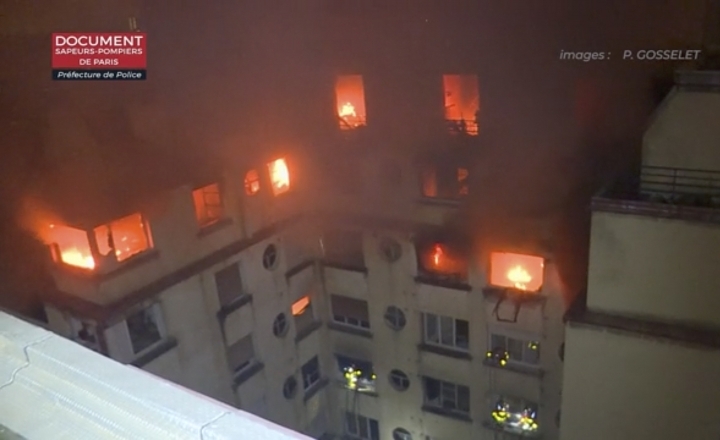 He said a woman who lives in the building was detained nearby. He would not provide further details on the investigation underway. 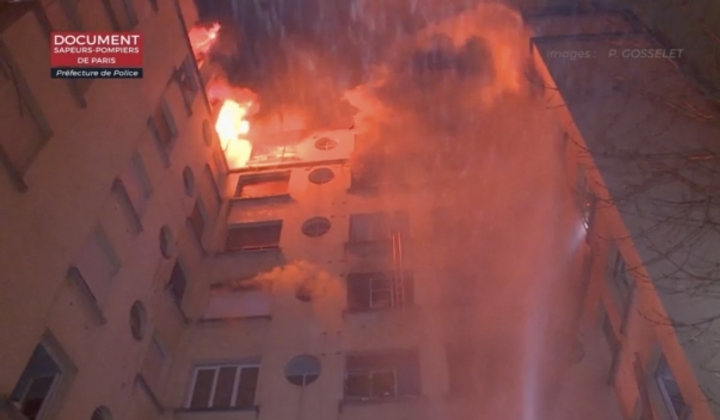 She said shaken residents were brought to her building and the one next door while firefighters continued to fight the flames. "We feel the smoke," she said. "What's surprising is how long it lasted."